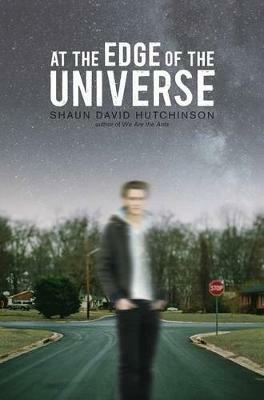 The Edge of the Universe by Shaun David Hutchinson is such a unique book and I couldn’t stop reading it! I want to say “couldn’t put it down” but I actually read the audiobook, and I thoroughly recommend that too because the narration was awesome. But it was so addictive because it spun so many questions with a hint of a sci-fi flavour. The whole time I had no idea if things were real or not and the book crafted and handled the story so well! The story is centred around Ozzie who believes the universe is shrinking after his boyfriend disappeared. And not “ran away”…his boyfriend is 100% gone from the town, from everyone’s memories, and from Ozzie’s entire life. Even his journal entries are rewriting themselves to cut out Tommy’s entire existence. Obviously this is devastating for Ozzie because not only is he facing the heartbreak of his best friend and boyfriend disappearing — no one believes him. Plus he’s graduating school and stuck working on a project with the class’s most messed up kid, Calvin, who most definitely has deep problems going on. And Ozzie knows the universe is shrinking because as the galaxies disappear everyone denies they ever existed. The real question: what the heck is going on? And how can he get Tommy back? Honestly I’ve never read a book or premise like this! I was captured from the very first page because I wanted to know if the universe was shrinking, or was Ozzie having a mental breakdown? Did Tommy ever exist or did Ozzie make him up to deal with the stress of his parents’ divorce, his brother entering the army, and his best friend Lua leaving town to carve a life without Ozzie in it. Ozzie ended up going to a ton of therapists and, since no one believed him about the universe shrinking or his missing boyfriend, I am a bit surprised he wasn’t being diagnosed as delusional. But he managed to keep his life together by a few threads while trying to figure out what was going on. I loved the secondary character cast too!! Calvin is a complex and absolutely adorable darling, who has some seriously dark secrets about abuse in his life and is very wary to let anyone in. His and Ozzie’s friendship isn’t smooth and isn’t always healthy, but I thought it was super realistic. I also loved Lua, Ozzie’s genderfluid BFF, who’s an amazing rock singer looking to make it big after highschool. Lua was seriously dynamic and I liked how the story showed their insecurities as well as highs. Also shout out to how diverse it was! This is an #ownvoices book for Ozzie’s lgbt narration, and there’s also genderfluid and asexual and people of different races making up the strong supporting cast. It’s always so refreshing when books acknowledge the whole world and give minorities a voice! There is also a lot of serious topics dealt with in this book. So don’t go in expecting a light fluffy read. It’s pretty confronting and at times devastating, but I think all the series issues were handled with care and respect. I did like the style too! The writing was simple and clear and I did wish it had a bit more emotion, but Ozzie was a fabulous narrator to share the journey with. He was super selfish at times, but I loved his arc and how he grew over the course of the book. The Edge of the Universe is such an interesting story, stuffed with questions and theories. I’m so here for this contemporary / sci-fi mashup and I’d love to read more books like this! Calvin was the light of the book, honestly, and I loved how Ozzie matured. And the ending?! I will say no more: but it was pretty satisfying.